Social media has exploded as a category of online communication where people create content, share it, bookmark it, and network at an exponential rate. Social media is changing the public interaction in society. It is setting new trends and agendas in topics. The enormity and high variety of information propagates through large user communities. It provides a good opportunity for harnessing that data for specific purposes. This chapter talks about the usefulness of interaction on social media channels for finding an open, innovative approach in solving issues faced by business entities and rural people in India. Social media has become a powerful, persuasive tool for staying in the business. Social media is the collective of online communication channels dedicated to community based input for collaboration. Social media tools empower all the stakeholders in the different sectors to benefit from one another. Various functions in a sector could integrate most of the activities within social media programs. Sectors referred here are business, education, health care, government and non government organizations. The activities cover research, marketing, product design and consultancy services. Forums and message boards on social media channels facilitate sharing knowledge. Social media use web based technology to quickly disseminate knowledge and information to a large number of users. Facebook, twitter, and other related social networking sites are collectively referred as social media. Social media is an open box of potential (Choudhary, 2012). This is particularly true in solving the issues related to rural people in India. Social media sites can be used to promote good environmental practice, sharing ideas of best practices, awareness of government policies and plans. Business houses are already using social media channels for the promotion of their business activities (Bernal, 2010). Similarly, government and non-government organizations in a country should involve the citizens of their country to express ideas and suggestions on the issues related to their country. Social media is no longer confined to interaction among friends and relatives. Social workers and non-government organizations reel that social media channels can create an efficient framework to leverage in their activities. 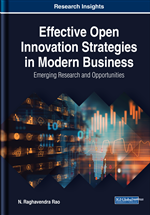 The approach followed by social workers and non-government organizations in India give an idea in developing the open innovation business model (Jocobson, 2012). Their approach mainly covers the activities related to starting a business, learning new techniques in a particular vocation, and improvement of standard of living in rural areas through the creation of economic activity. A group of social workers visited a tea plantation in south India. They went with the idea of giving talks related to health care, particularly in the context of hygiene to plantation workers. After their regular conducting health related programs, they used to go round tea plantations. They have noticed the locals were depleting the forest of foliage and destroying the soil. During their interaction with forest dwellers, they came to know that it was the lack of lively hood they were forced to cut the trees. The social workers felt that the forests need to be saved. It is not an easy task to grow trees. They have decided to consult for preserving forests. At the same time, they would like to provide alternative livelihood to the forest dwellers. The social workers sent emails to their friend’s advice for finding an alternative livelihood to the forest dwellers. This would help to preserve the forest. Their friends posted the issue on their social media sites. At the request of their friends more information and data related to the issue are provided to them. There were responses to the message on social media sites by some experts who are familiar with soil management and agricultural techniques. The experts are keen to advise them without demanding any consultancy fees. The experts have suggested to grow bamboo. It is because those bamboo thickets can be grown in just three months. A tree needs thirty years to grow. At the suggestion of the experts the social workers advised the forest dwellers to grow bamboo and restore the quality of their soil. Further bamboo is a cash crop that will help them to earn money. This suggestion has appealed to the forest dwellers. They have started acting on the advice of the experts.